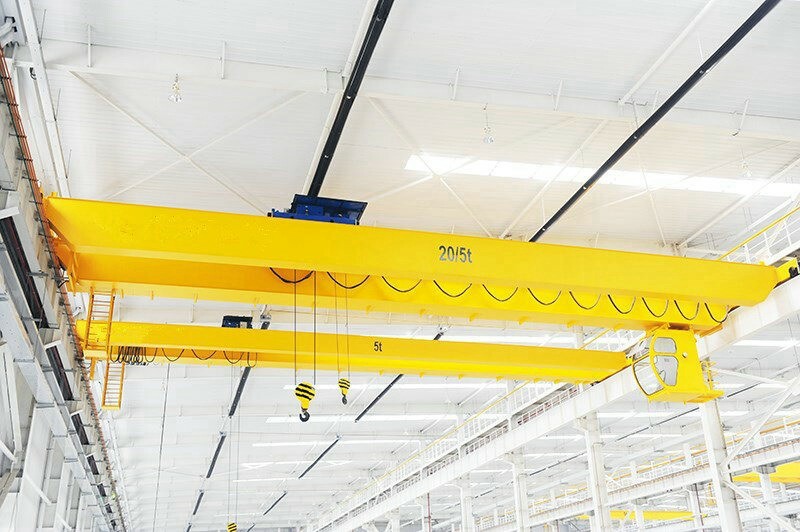 Like the single girder overhead crane, the double girder also has a trolley hoist and two end trucks. But it has two bridge girders. The trolley hoist runs on top of the rails and the rails are mounted on top of the double girder bridge. 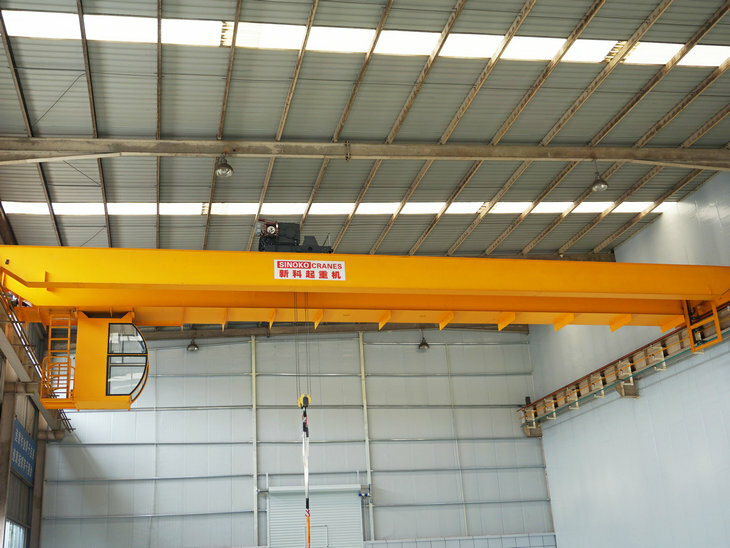 Double girder Bridge cranes are the perfect solution for heavier lifting as they have been designed to move loads that are over 125 tons. 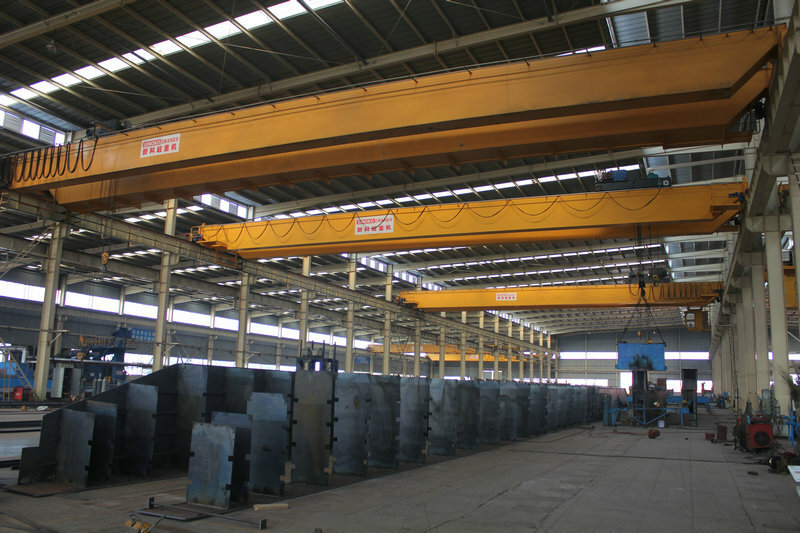 They are not cost effective like single girder, but they have greater lifting capacity. 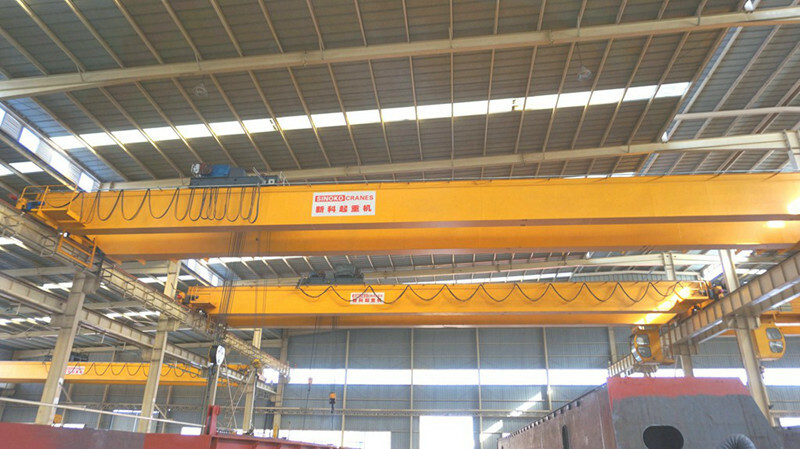 Same as Single Girder Bridge Crane, double girder overhead crane mainly include three major operating mechanism: Lifting mechanism, long traveling mechanism, Cross traveling mechanism. 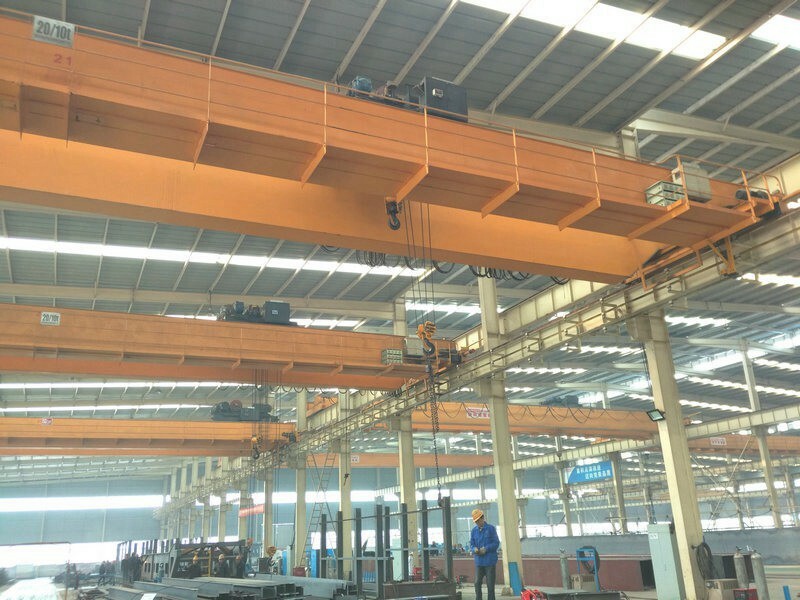 Among them, the Lifting operation mechanism is mainly composed of an electric hoist, a wire rope, a pulley, a hook or a spreader. 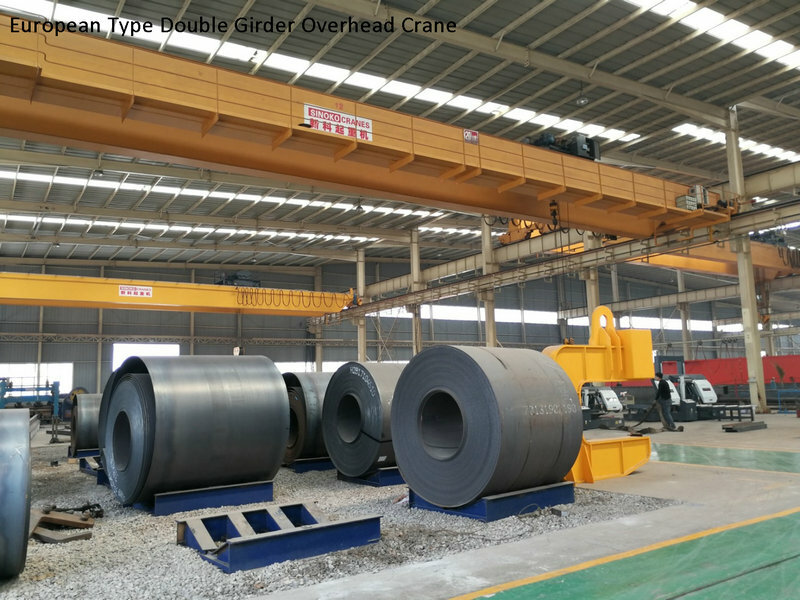 The metal structure of the Double Girder Top Running Overhead Crane is mainly composed of two parts, the main beam and the end beam. 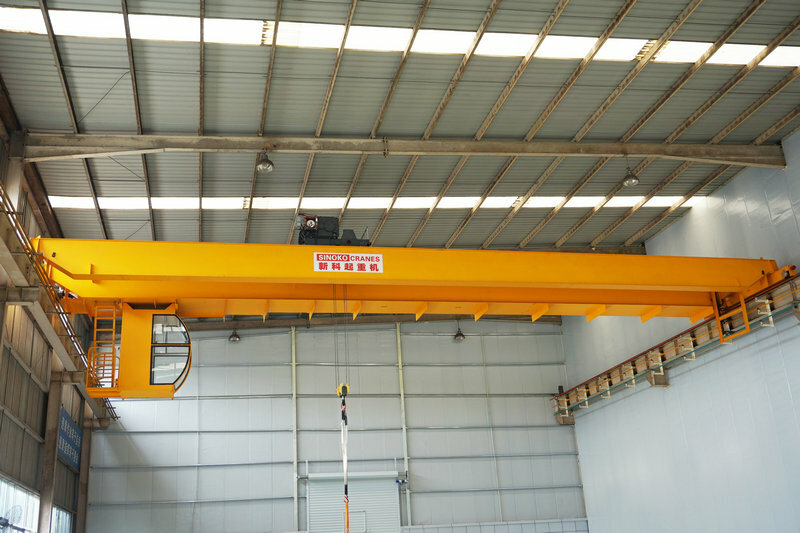 The main beam structure of the Double Girder Top Running Overhead Crane is mainly composed of a cover plate, a web and an I-beam. The box body has a vertical and horizontal length and length. Reinforced ribs. 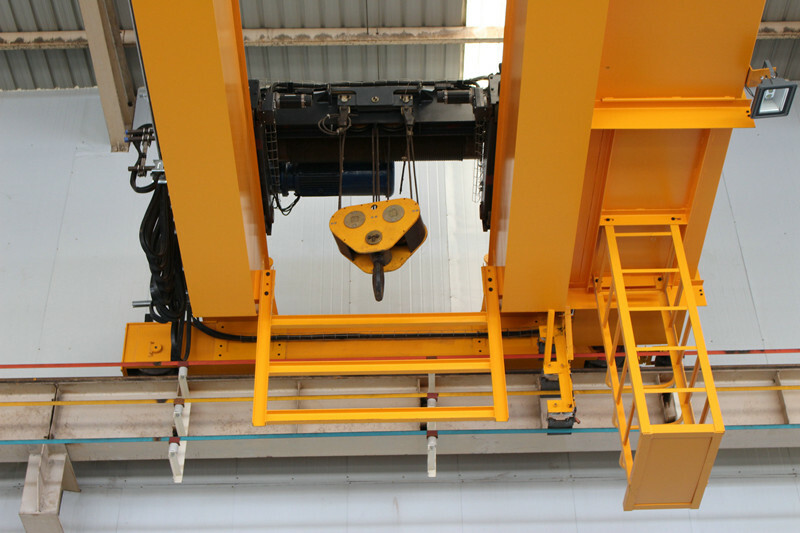 Its safety and reliability directly affect the crane's operating quality and working ability. 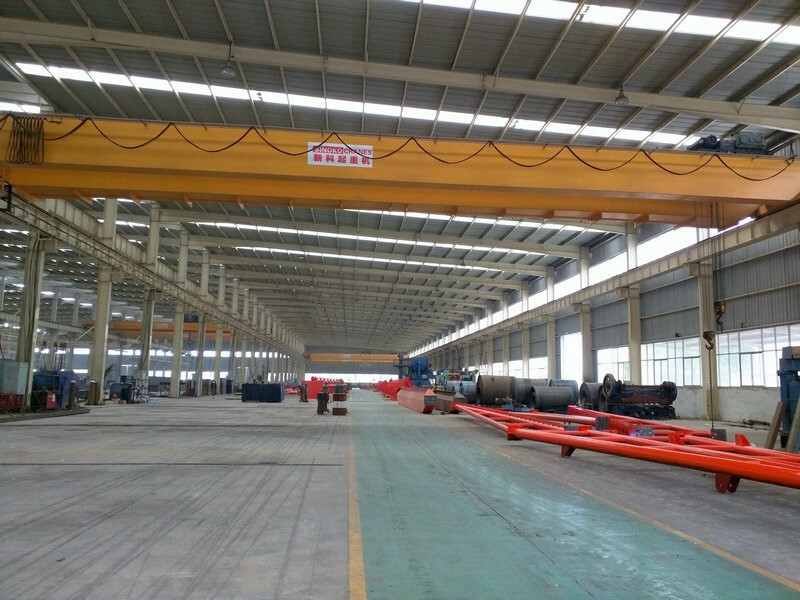 Lifting mechanism and hoist operation mechanism adopts low headroom speed (SWF) wire rope hoist. 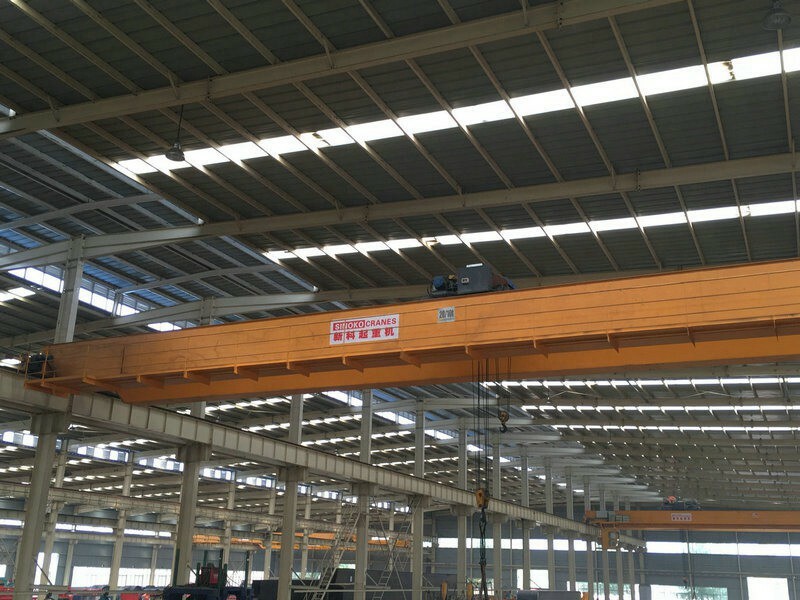 Double Girder Top Running Overhead Crane electric hoist operating mechanism for the electric car type. The reduction gear is 40Cr forged, and after quenched and tempered, it is installed in a closed gear box, all of which are supported by rolling bearings. The wall plate is made of steel plate, which ensures flexible operation, convenient use and long service life. The trolley running mechanism is equipped with an inverter, stepless speed regulation, stable operation, accurate positioning and comfortable operation. 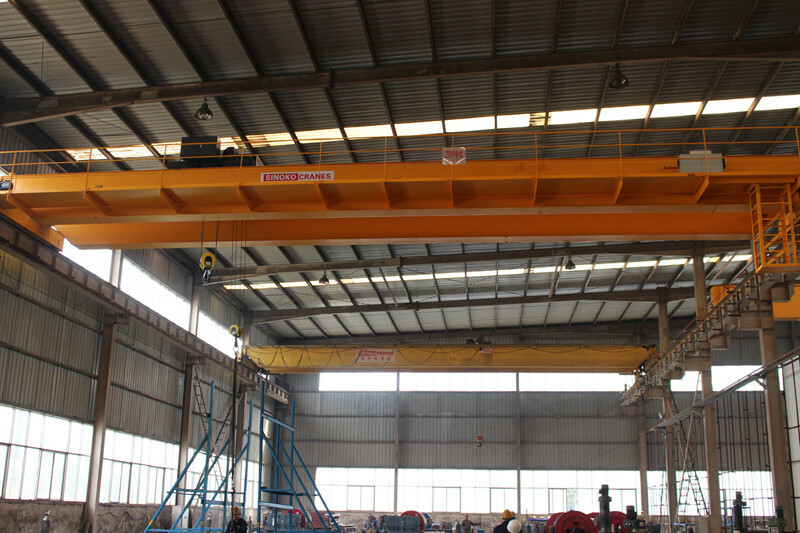 Double Girder Top Running Overhead crane's long traveling structure consists of three in one device & wheel set. The wheel is a 45# forging. The hardness after heat treatment is HB ≥ 330-390 on the tread and HB ≥ 260 at the depth of 20mm. Shafts and gears are made of modified 45# or 40Cr. The cart drive is a new type of LDA drive device. The device has the advantages of simple structure, small size, large starting torque, frequent starting, stable operation speed, low noise, safe and reliable use, convenient installation and maintenance, and nice appearance.